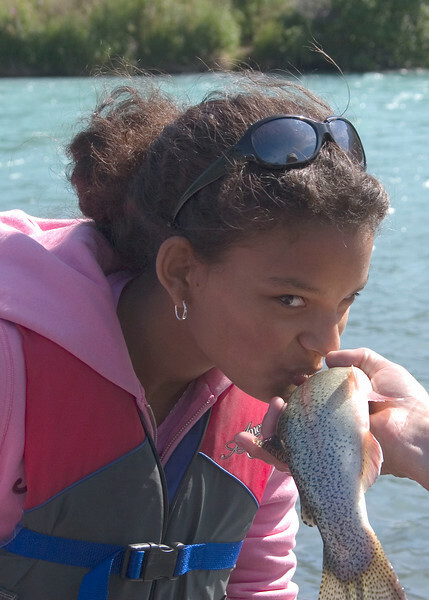 Kalinda Kindle of Anchorage kisses her first Kenai River rainbow trout, caught while fishing with guide Bobby Besch of Alaska Small and Personal Advenures. Bobby told Kalinda "You've gotta kiss the first for good luck!" Congrats on a fine fish Kalinda! And thanks for being a good sport and letting me take your portrait.